One of the first few baby brands I knew way before I was pregnant with Shern is Pigeon. Maybe because I always see the Pigeon brand counter in major department stores in Penang. And when I was pregnant with Shern, I get to know more about this brand and grew to trust its quality. I love using their baby wipes, their Liquid Cleaners, and I love their 100% cotton clothings for babies. Shern is still wearing their PJs, their biggest L size now. And I still continue to use their baby products now that I have Khye. So I was happy to be given the opportunity to review this major brand. By the way, Pigeon is No. 1 Babycare brand in Japan. 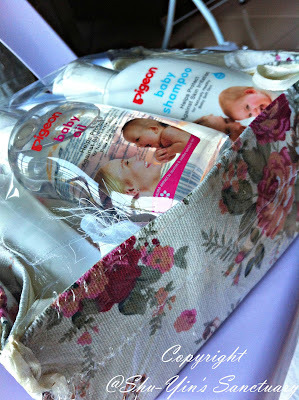 I am reviewing their latest Sakura range baby care toiletries. 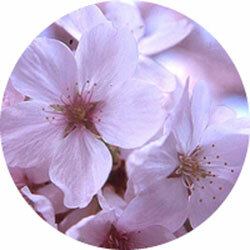 "The Sakura Flower (cherry blossom) is famed for its beauty and visual appeal in Japanese culture. Apart from this, it also brings about a whole host of benefits. The natural Sakura extract used in our new range is made in Japan and is extracted from natural Sakura plants known as the Prunus Yedoensis species. This popular species is grown in admiration all over Japan and originates from the Hyogo Prefecture, Okayama Prefecture and Shikoku Prefecture. "PIGEON Sakura Baby Toiletries is the perfect solution to help protect your baby's skin against skin irritation and its associated problems. Free from harsh chemicals, it does not contain paraben, sulphates and coloring agents. It uses natural ingredients such as our signature Sakura extract, renowned for its moisturizing and anti-inflammatory properties. So mild and gentle, it is proven safe on baby's sensitive skin." 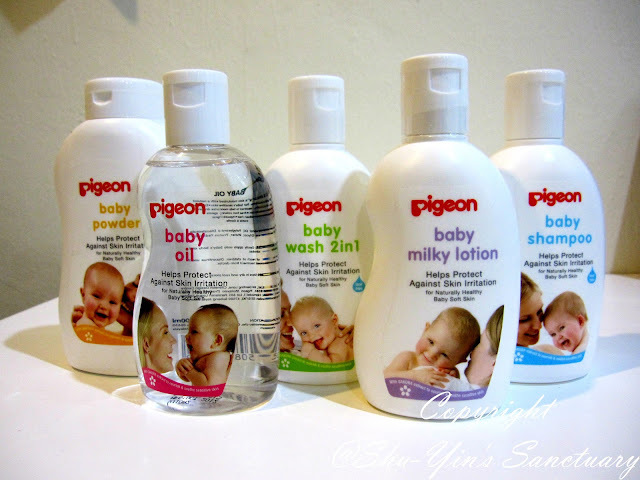 I am rather impressed that even Pigeon is going the natural path and is providing babycare toiletries that are free from harsh chemicals, and does not contain paraben, sulphates and colouring agents. So I was happy to use them on both Shern and Khye. I received the whole range of the smallest size Sakura range products for my review. They came in a beautiful vintage flower patterned packaging, which I find it very presentable. These are the Sakura range toiletries in the beautiful packaging. As usual, anything 2-in-1 when it comes to baby wash wins me right over. I am the kind of mother who can't bother to fumble for different types of bottles during bath time. You can't blame me when I only have one hand available, because the other hand is occupied by gripping tight my wriggling, slippery baby Khye. However, I find the it a little soapy, although I use it so sparingly. After washing my baby's hair and body with it, (I squeezed some into my hand then I lathered it then rubbed them over Khye's body and hair), the whole bath tub water seems soapy. But the bright side is that you get to save a lot because you only need to use it sparingly, most probably less than what I use I suppose. And it leaves my baby's skin very smooth. Really, really smooth and silky after bath. It is supposed to help to nourish and moisturize baby's skin. And the scent, oh I haven't mentioned about the scent yet. This signature sakura scent is mild and musky, and yet flowery and baby-ish. I really like it. Just like the baby wash, the smell is divine. I like it. I also like that it is tear-free. And I also need to use it really sparingly too. This small 200ml bottle could last me forever. Really value for money. Khye's feet seem to be rather dry, especially the parts near his toenails. So I'd started applying this lotion on his feet and toes every time after his bath. In just 3 days, I could see improvement. No more dry skin there. It is supposed to help moisturize and nourishes the skin. The application is smooth, because the lotion is not thick and sticky. It has quite a runny consistency which makes it easy to apply, but not too runny. It is also not sticky after it dries up, which is very important to me, because I hate sticky babies. Haha. I think this is my favourite product in this range. I seldom come across powder which is under the natural range, so I am quite happy to see a baby powder in this Sakura range. However, in our hot and humid country, I find it difficult to avoid using baby powder. I actually don't use it when Khye was a few months old. But now that he is bigger, I like using it because Khye is getting all round and Michelin-like, and thus he sweats a lot. And I mean A LOT. 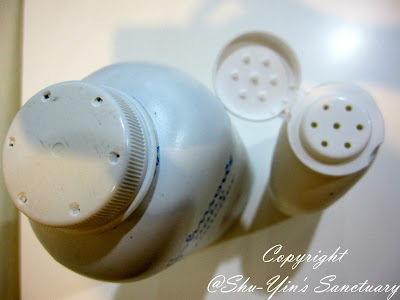 I think by applying powder underneath his skin folds, it helps to keep the areas dry and less rash. I don't use that powder puff thingy and puff it all over his face. All I do is to pour some powder on my palm and then apply it underneath his skin folds and some all over his body. This Pigeon Sakura Baby Powder smells just like the rest of the products in this range, nice so I like it. 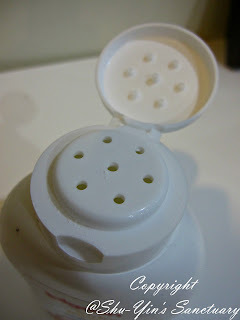 Powder is loose and easy to dispense. But what can be improved is that I wish for the dispensing holes to be adjustable. Coz now there is only the lid to pour, and i find that I pour out too much sometimes. 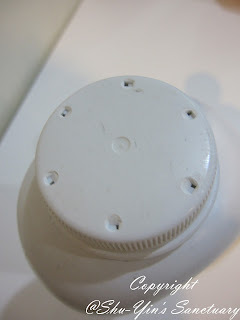 Maybe I am used to the Johnson n Johnson's Powder packaging where I can turn and adjust the holes size to make the holes bigger or smaller. But overall love this Baby Powder. As you all know, I don't do baby massage for Khye. So I use it on myself. 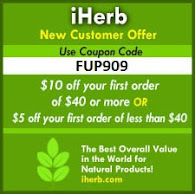 I tried it on my dehydrated skin on my legs and they are not too oily. It moisturizes my skin. I also applied it on some rough patches on my body, such as my elbows and knees and I find that it helps to moisturize them too. Scent it lovely. This is Khye taking a bath using the Baby Wash 2in1. Khye is being his usual happy self! You can purchase the Pigeon Sakura Baby Toiletries at most major departmental stores nationwide. For more information, please visit Pigeon Malaysia's website.